Friends of the blog appreciate that I’m a bird enthusiast. While not fanatical in my search for bird “X” and bird “Y”, I do keep an eye out for our feathered friends due in large part to my wife’s bird watching interests. 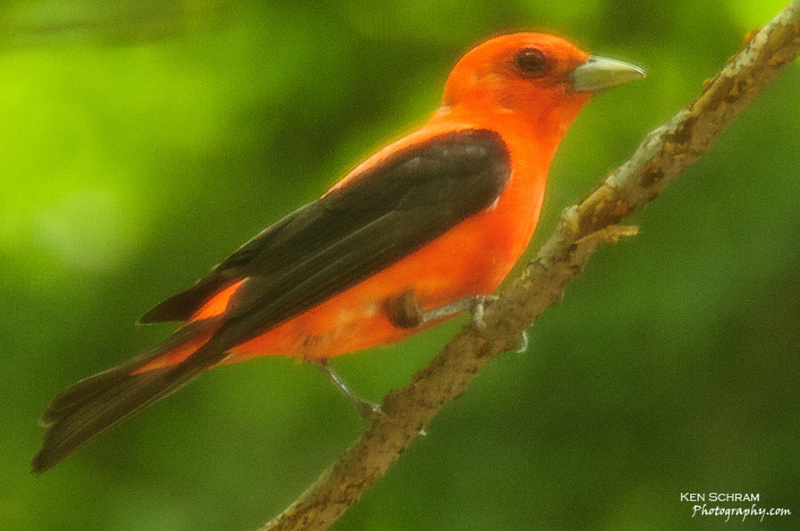 This is a photo I took of a scarlet tanager when in Door County last month. It’s not the best of photos as I was shooting through a window screen at too slow of a shutter speed as I wasn’t exactly prepared for this guy to zoom in and grab a perch right in front of me! It’s the first time I’ve ever seen one (or at least been paying attention enough to notice) and was lucky enough to have my camera within reach. What is the most “unexpected” photo you’ve ever captured?